This July, experience a very special issue of the blockbuster Star Wars series as special guest artist Simone Bianchi (Thanos Rising, Astonishing X-Men)joins chart-topping writer Jason Aaron for a look back into the past with STAR WARS #7! Luke Skywalker has uncovered the journals of his departed mentor Obi-Wan Kenobi. Now, experience Kenobi’s harrowing accounts of days long gone by! It is a time when injustice reigned on Tattooine. As villainous scum runs rampant over the blistering sands, only a Jedi Master stands any hope of liberating the planet from the grasp of gangs, thieves and thugs. But would Ben risk everything to do what was right? Even if it meant revealing himself to those searching for his whereabouts? 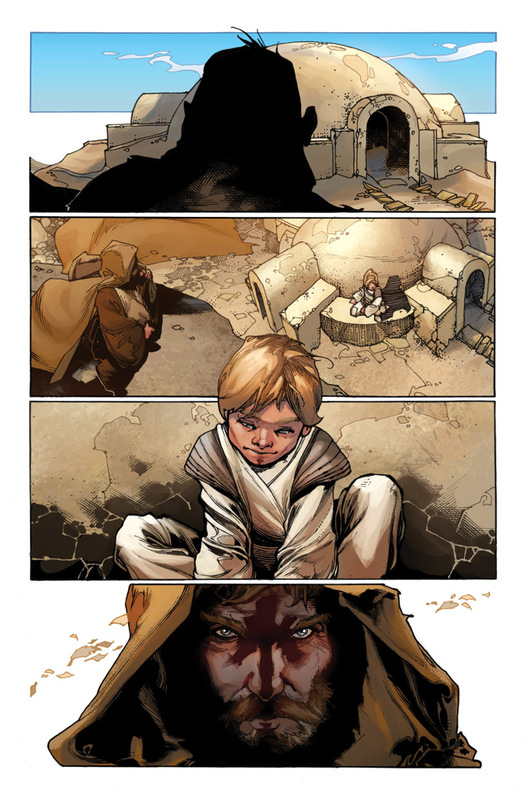 Find out this July as Aaron & Bianchi bring you STAR WARS #7! July 2, 2015 in Press Release, Preview.